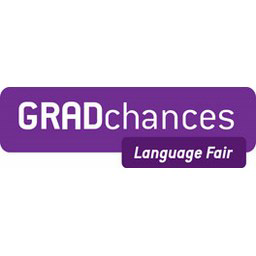 The GRADchances Language Fair will feature the top graduate Language recruiters in Ireland, an expert talks programme and panel discussions. What can I do with my Arts and Language degree? Breda Hegarty is the Training and Employment Officer with Business in the Community. She is the author of the www.thejobmotivator.com blog and has written many articles for jobseekers. Breda draws on over 9 years of experience, working closely with people that have barriers to gaining employment. She has met with many HR managers of the top companies in Ireland to keep up to date with HR trends and to impart this knowledge. To date she has supported over 2,000 jobseekers from 93 countries, with approximately 70% of those going on to start employment or further education as part of the EPIC Programme. Sinéad is Jameson Graduate Programme Manager. As an experienced HR training & development professional Sinéad has a passion for the attraction, recruitment, development & retention of graduate talent. Her role includes recruitment & selection of best fit graduates for the Jameson International Brand Ambassador Programme, design of the programmes award winning training & development offering & the development, implementation & evaluation of the graduate management framework for a global network of 75 Brand Ambassadors based in 41 international markets. Fluent French HR Manager with a Degree in business & languages, Masters in HR, and Post Grad in organisation development. With over 10 years’ international experience, gained across diverse sectors to include consumer goods, information technology, pharmaceuticals and hospitality; Ciara currently heads up the HR function for Ireland at Smartbox Group, the European leader in the experience gifts market. Niamh graduated from Trinity College Dublin with a degree in French and Irish in 2014. As a language enthusiast, she is currently studying in the evening with NUIG, to learn the German language. Originally from Dublin, she moved West in June of that year and shortly after, joined Wayfair. She began working as a Sales & Service Consultant with French, helping customers in the UK and France with orders and product queries. Niamh progressed to the position of Recruiter with the Talent Acquisition team and now works as an advocate for Wayfair, recruiting top class talent to join the Sales & Service team. As a language enthusiast, Niamh is currently studying in the evening with NUIG, to learn the German language. Bhain Breda MA i Staidéar an Aistriúcháin amach in Ollscoil na hÉireann Gaillimh (OÉ Gaillimh) in 2006. Ina dhiaidh sin, chuir sí seirbhísí teanga ar fáil ar bhonn féinfhostaithe. Tá Dioplóma Iarchéime san Ateangaireacht Chomhdhála aici agus is Ateangaire Comhdhála Creidiúnaithe d’Institiúidí an Aontais Eorpaigh í. Chaith sí seal (2011-2012) mar léachtóir ar an gcúrsa máistreachta san Ateangaireacht Chomhdhála in OÉ Gaillimh agus anois, is eagarthóir reachtúil í le Rannóg an Aistriúcháin i Seirbhís Thithe an Oireachtais, áit a bhfuil sí fostaithe ón mbliain 2012. Bhí Breda ina comhalta d’fhoireann tacaíochta an Choiste Chomhairligh um Athbhreithniú ar an gCaighdeán Oifigiúil, 2014-2016. Breda was awarded an MA in Translation Studies from National University of Ireland, Galway (NUIG) in 2006. She was self-employed after this, providing language services. She has a postgraduate diploma in Conference Interpreting and she is an accredited Conference Interpreter for the European Union Institutions. She worked as a lecturer on the Conference Interpretation masters course in NUIG from 2011-2012. She is working in the Houses of the Oireachtas as of 2012 as a legislation editor. Breda was a support team member of An Coiste Comhairleach um Athbhreithniú ar an gCaighdeán Oifigiúil, 2014-2016. Is as Co. na Mí do John Ó Liodáin. Chaith sé trí bliana i mbun staidéir in Ollscoil na hÉireann, Má Nuad (NUIM) áit ar bhain sé céim BCL amach sa Dlí agus sa Nua-Ghaeilge. Bhí sé ina Uachtarán ar gCuallacht Ghaelach san Ollscoil. Chaith sé bliain ag teagasc na Gaeilge in Ionad an Léinn Éireannaigh in Ollscoil an Léinn Iasachta i mBéising i gcomhpháirtíocht le NUIM. Chaith sé seal mar Fhorbróir Ardán Ilmheán ar PEIG.ie le Conradh na Gaeilge agus ansin ceapadh é ina Fheidhmeannach Ilmheán agus Lár-Phointe Feasachta leis an eagraíocht chéanna. Tá sé ag obair faoi láthair mar Oifigeach Riaracháin sa Roinn Caiteachais Phoiblí agus Athchóirithe. John Ó Liodáin is from County Meath. He spent three years studying in University of Ireland, Maynooth graduating with a BCL in Law and Modern Irish. He was President of the Cuallacht Ghaelach in the University. He spent a year teaching Irish at the Centre for Irish Studies in the Beijing Foreign Studies University in co-partnership with University of Ireland, Maynooth. He worked as a Multimedia Platform Developer on PEIG.ie for Conradh na Gaeilge and was then appointed as a Multimedia and Awareness Executive with the same organisation. He is currently working as an Administration Executive with the Department of Public Expenditure and Reform. Rugadh agus tógadh Siún i mbaile Dhún Dealgan, Co. Lú. Bhain sí céim B.A amach sa Bhéarla agus sa Ghaeilge sa Choláiste Ollscoile, Baile Átha Cliath sular thug sí faoi Mháistreacht i Scríobh agus Cumarsáid na Gaeilge san institiúid chéanna. Tá sí ag obair leis an nGaeilge ó shin i leith; mar léachtóir leis an gColáiste Ollscoile, Baile Átha Cliath agus Ollscoil na hÉireann Má Nuad, mar chomhordaitheoir scéime le Conradh na Gaeilge, mar theagascóir le Gaelchultúr, mar Ardoifigeach Feidhmiúcháin le Foras na Gaeilge agus mar Oifigeach Gaeilge le hOllscoil na hÉireann, Má Nuad sular ceapadh í mar Chomhordaitheoir Ábhar Digiteach Gaeilge in RTÉ. Is colúnaí í le Nós Mag agus bhunaigh sí a suíomh gréasáin dátheangach féin, As an Nua, in 2016. Siún was born and raised in Dundalk, Co. Louth. She studied for a BA in Irish and in English in University College Dublin (UCD) before graduating with an MA in Irish Language Writing and Communication, also from UCD. She is working in the Irish language sector since then; as a lecturer in UCD and National University of Ireland, Maynooth (NUIM), as a scheme coordinator with Conradh na Gaeilge, as a tutor with Gaelchultúr, as a Higher Executive Officer with Foras na Gaeilge and as an Irish Language Officer with NUIM before being appointed as an Irish Language Digital Coordinator in RTÉ. She is a columnist with Nós Mag and she developed her own bilingual website, As an Nua, in 2016. Is de bhunadh Loch an Iúir i nGaeltacht Thír Chonaill Seán Ó Baoill. Tá Seán ag obair mar fhísiriseoir leis an suíomh gréasáin www.meoneile.ie le trí bliana anuas. Rinne sé céim sa Ghaeilge agus sa Tíreolaíocht i gColáiste Ollscoile Bhaile Átha Cliath, áit ar bhain sé céim onóracha amach. Lean sé air ansin agus thug faoi chéim mháistreachta i scríobh agus i gcumarsáid na Gaeilge san ollscoil chéanna. Ina dhiaidh sin chaith sé bliain ina chónaí i gConamara agus bhain sé amach Ard-Dioplóma sa Chumarsáid Fheidhmeach in Acadamh na hOllscolaíochta Gaeilge. Rinne Seán scéim de chuid Scáileán Thuaisceart Éireann i mBéal Feirste an bhliain dar gcionn agus ansin thósaigh sé ag obair le Meon Eile. Chuir Seán sraith raidió úr dar teideal Tochailt Staire i láthair ar BBC Raidió Uladh an samhradh seo caite agus é ag súil le bheith ag obair leo ar an gcéad sraith eile go luath. Bíonn sé ag obair go minic mar léiritheoir cúnta ar chláracha teilifíse, do BBC TÉ agus TG4 fosta. Faoi láthair tá Seán ag obair ar an tsraith nua teilifíse An Focal Scoir mar thuairisceoir. Beidh an An Focal Scoir le craoladh ar BBC TÉ i mí Márta. Is aisteoir é Seán agus tá neart taithí aige ag aisteoireacht ar an stáitse agus ar an scáileán. Bíonn sé le feiceáil go rialta ar an sobaldráma Ros na Rún agus an pháirt Adam Ó Murchú aige. Seán Ó Baoill is from Loch an Iúir in the Donegal Gaeltacht. Seán has been working as a video journalist with the website www.meoneile.ie for the last three years. He completed a degree in Irish and Geography in University College Dublin, where he gained an honours degree. He then went on to take a master’s degree in Irish language writing and communication in the same university. After that he spent a year living in Connemara and he gained a Higher Diploma in Applied Communication in Acadamh na hOllscolaíochta Gaeilge. Seán completed a Screen Northern Ireland scheme in Belfast the following year and then he started working with Meon Eile. Seán presented a new radio series entitled Tochailt Staire on BBC Radio Ulster last summer and he hopes to be working with them on the next series soon. He often works as an assistant producer on television programmes, for BBC NI and TG4 as well. Seán is currently working on a new television series, An Focal Scoir, as a reporter. An Focal Scoir will be broadcast on BBC NI in March. Seán is an actor and he has plenty of experience acting on stage and screen. He can be seen regularly in the soap opera Ros na Rún in the part of Adam Ó Murchú. Knowing now matters.™ Alere delivers reliable and actionable information through rapid diagnostic tests, resulting in better clinical and economic healthcare outcomes globally. Our Business Action on Employment has EPIC and Ready for Work, FREE programmes supporting immigrants and people with high barriers to secure employment or education in Ireland and helping them integrate into Irish society. To date the programmes have impacted the lives of over 2,700 people from over 100 nationalities. A total of 489 jobseekers were supported during 2016 and 292 secured employment or entered training or accessed volunteering opportunities. Europass is an EU career management initiative to make your skills and qualifications clearly and easily understood at home and across Europe. Five tools in an e-portfolio ensure you can showcase your achievement in the preferred standard format across the EU. Explain your qualification with the Europass Diploma Supplement and your unique Europass Language Passport. Ar smaoinigh tú ar chúrsa iarchéime a dhéanamh trí Ghaeilge nó ar an nGaeilge a úsáid i do ghairm bheatha amach anseo? Tá Foras na Gaeilge freagrach as an nGaeilge a chur chun cinn ar fud na hÉireann. Buail isteach chugainn le labhairt linn faoi dheiseanna in earnáil na Gaeilge lena n-áirítear cúrsaí aistriúcháin, dlí, oideachais agus na meáin. Bígí linn! Have you considered doing a postgradutate course through Irish or using the Irish language in your future career? Foras na Gaeilge is the body responsible for the promotion of the Irish language throughout the whole island of Ireland. Come and chat to us about opportunities in the Irish language sector which include translation, law, education and media. Bígí linn! GLG is the world’s leading platform for professional learning. We pair top professionals and thought leaders, from a membership of more than 500,000 experts, across fields for short- and long-term learning engagements. Global, technology-driven, and nimble, our 1,200 employees work in 22 offices in 12 countries. Ibec Global Graduates programme places graduates attracted by an international career on paid work placements around the world with leading Irish companies over 12-24 months. Each of our three graduate programmes combine on-the-job experiential learning and academic study leading to a DIT accredited postgraduate qualification. Irish Distillers is part of Group Pernod Ricard and oversee the production, marketing and distribution of a number of Pernod Ricard brands including Jameson. As brand guardians for Jameson, the world’s bestselling Irish whiskey, we look after every stage of the process from our distilleries in Cork and Dublin to our marketing and strategic head office in Ballsbridge and our distribution-network worldwide. Our Jameson Graduate Programme, celebrating its 25th anniversary this year, supports the success of the brand from grain to glass. With 75 Jameson Brand Ambassadors around the world and 4 Graduate Distillers, the brand is in good hands! At Lidl, we recognise that our people are our greatest asset and that our success is hugely attributable to the commitment and dedication of our workforce. Career development and training are of major importance to us. In fact, many of our managers have successfully advanced in their careers, from starting positions in our stores. All employees are provided with the training and support they need to reach their full potential and to progress within the company. Structured, on the job training is the foundation of our training concept, giving our employees the opportunity for further development both professionally and personally. At Lidl we believe that training is the most important investment we can make in our people. Smartbox Group is the pioneer, the European and Worldwide leader in the experience gift market. The Company operates in 10 countries with 7 well-known brands: Smartbox, Bongo, Buyagift, La Vida Es Bella, Cadeaubox, Dakotabox and Emozione3. Smartbox Group sold over 6 million experience gifts in 2015 and achieved sales of over 500 million euros. Smartbox Group offers a wide choice of experience themes: Overnight Stays, Wellness, Adventure, Gastronomy and Special occasion multi-themes, for consumers to offer the most beautiful gift: a gift you live ! They are available in major retail outlets across Europe: department stores, hypermarkets, supermarkets, as well as online on the various Company branded websites. USIT - Work Visa Specialists USIT is Ireland's leading travel company specialising in a range of work opportunities abroad. These include 1 & 2 year Graduate Work programmes to the USA, Canada, Australia, New Zealand, Hong Kong as well a range of Summer Programmes such as the J1, Summer Camp & Soccer Coaching Programmes to North America. We also offer volunteer programmes, flights, insurance, adventure tours, accommodation, Interrail passes, discount cards and much more. If you are looking for a Graduate work abroad programme, please visit us at the USIT stand and talk to one of our experienced agents who will present all the options available to you. VMware is a global leader in cloud infrastructure and business mobility. Built on VMware's industry-leading virtualization technology, our solutions deliver a new model of IT that is fluid, instant and more secure. Customers can innovate faster by rapidly developing, automatically delivering and more safely consuming any application. With 2015 revenues of $6.6 billion, VMware has more than 500,000 customers, more than 75,000 partners, and 19,000+ employees in 120+ locations around the world. At the core of what we do are our people who deeply value execution, passion, integrity, customers, and community. Do you dare to do the stuff you've always dreamed about? Dare to explore at careers.vmware.com. Wayfair is an American-founded international company, with its European Operations Centre based in Galway. Roles available across a number of departments with a variety of languages required. Workday’s enterprise cloud applications for finance and HR are disrupting the global software industry. Our applications are infinitely flexible, extremely intuitive, and incredibly powerful. We have a 98% customer satisfaction rating, the highest of any major enterprise software provider. More than 1,000 organisations worldwide, ranging from medium-sized businesses to Fortune 50 enterprises have selected Workday. In 2016, Workday was voted the #2 Best Place to Work in Ireland. We work hard, and we’re serious about what we do at Workday. But we like to have a good time too. In fact, we run our company with that principle in mind every day: one of our core values is fun. HR managers receive hundreds of CVs for every job they advertise, so you must be sure that your C.V. convinces the employer that you are the best investment. This workshop will give you the techniques to tailor your C.V. to the Irish market and to get an edge over your competition. Presentation on study and work abroad mobilities as part of one's higher education. Graduates 4 International Growth (G4IG), an Enterprise Ireland supported initiative, offers Graduates exciting opportunities to work with fast-paced, ambitious Irish SME’s. This 18-month placement programme includes a 6 month overseas assignment. Graduates will also study with the IMI to obtain a Level 9 post-graduate diploma in International Business Development.